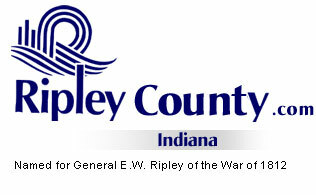 The Ripley County Council met on Tuesday, March 15th, 2005 at the Ripley County Annex in Versailles, Indiana. Donald Dunbar, Ripley County Council President called the meeting to order promptly at 7:00 PM with Council Members Dephane Smith, David Simon, William Dramann, Mark Busching, Ben Peetz, Donald Dunbar & Edward Armbrecht in attendance. Council Member Armbrecht made the motion to approve the minutes of the February 15th meeting seconded by Council Member Smith. Motion approved unanimously. Council Member Simon made the motion to approve the appropriation of $24,000 from RSRF-Veterans Grant to fund #603-42150-000-603 seconded by Council Member Dramann. Motion approved unanimously. Council Member Busching made the motion to approve the appropriation of $30,000 from the Covered Bridge Fund to Fund #259-32590-000-259 seconded by Council Member Smith. Motion approved unanimously. Council Member Smith made the motion to approve the appropriation of $180,000 from the Cumulative Capital Development to Fund #274-36104-000-274 seconded by Council Member Simon. Motion approved unanimously. Council Member Armbrecht made the motion to approve the appropriation of $1,699.09 from Emergency Management/New Computer System Grant to fund # 602-73700-000-602 seconded by Council Member Dramann. Motion approved unanimously. Council Member Armbrecht made the motion to table to the next meeting the transfers for the Ripley County Sheriff/Bill Davison of $1537 from Adult Detention fund # 333-99999-000-333 to Deputy Matron Fund # 100-18401-000- 014, $1,503 from Sheriff Improvement Fund # 291-99999-000-291 to Longevity Houseworth Fund # 100-14399-000-007 & $1537 from Adult Detention Fund # 333-99999-000-333 to Jail Commander Fund # 100-18200-000-014 and for 911/Judy Schebler $4,200 from Utilities Fund # 277-37900-000-045 to Gas-Electric-Water Fund #100-37900-000-045 seconded by Busching. Motion approved unanimously. Council Member Armbrecht made the motion to approve the transfer of $456 from Garage & Motors Fund # 201-25700-000-027 to Service Contracts Fund # 201-37800-000-027 seconded by Council Member Dramann. Motion approved unanimously. Council Member Armbrecht made the motion to appointment Tom Jeffers, 72 Egs Boulevard, Batesville, In. to the Batesville Economic Development Board seconded by Council Member Simon. Motion approved unanimously. Council Member Armbrecht presented a cost report to the council members on the jail for 2004 & budgeted year for 2005. Armbrecht showed the actual cash receipts for 2004 housing per the Sheriff’s Report of Collection. Bill Davison, Ripley County Sheriff reported that the Ripley County Jail is bringing in revenue to the general fund, returning appropriations used in 2004 to the General Fund, by housing Inmates for other agencies. Council Member Dunbar had concerns about doing a 5-month CD for the Rainy Day Fund. It was recommended to the Treasurer, by Commissioners, to wait to invest this fund. Council Member Armbrecht advised that he would be glad to help with the investing the funds. Council Member Armbrecht had concerns about the claim from the EMS for Dr. Lovett and asked the commissioners if they had contacted Dr. Lovett. Commissioner Reiners reported that a letter would be sent to Mr. Lovett concerning the claim. Grants Committee – Donald Dunbar – Grants for new Vests/Ripley County Sheriff /Early warning system. Council Member Dramann made a motion to adjourn until the next regular meeting on Tuesday, April 19th, 2005 seconded by Council Member Smith. Motion approved unanimously.